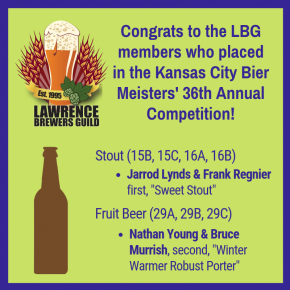 The LBG met Feb. 14 for its regular meeting. 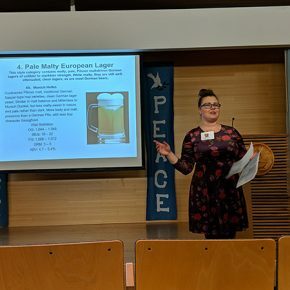 Vice President Leigh Keck led the seminar on the categories accepted in this year’s Big Brew Day Brew-Off competition. Biermeister Jim McGovern led the tasting on IPAs. Grinders LFK hosted the LBG’s February Hoppy Hour on Feb. 7. 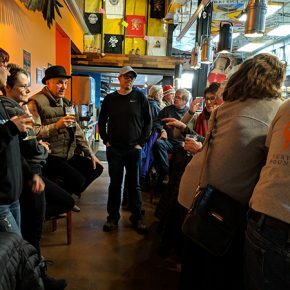 Hoppy Hours are the first Thursday of each month and are open to LBG members and friends and those interested in joining the club, homebrewing and craft beer.